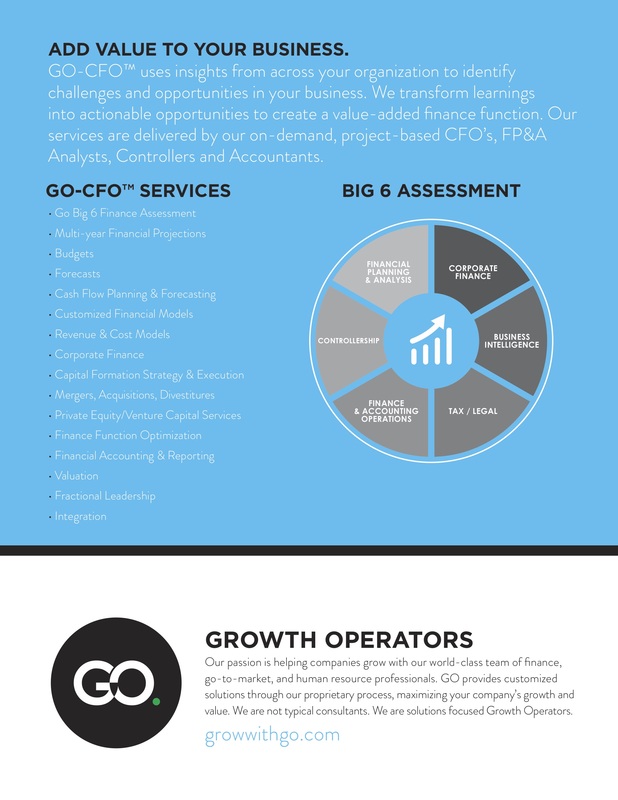 GO-CFO™ provides seasoned on-demand CFO, finance and accounting talent to help companies grow. Our experienced operators help companies understand what drives value, and how to increase it. 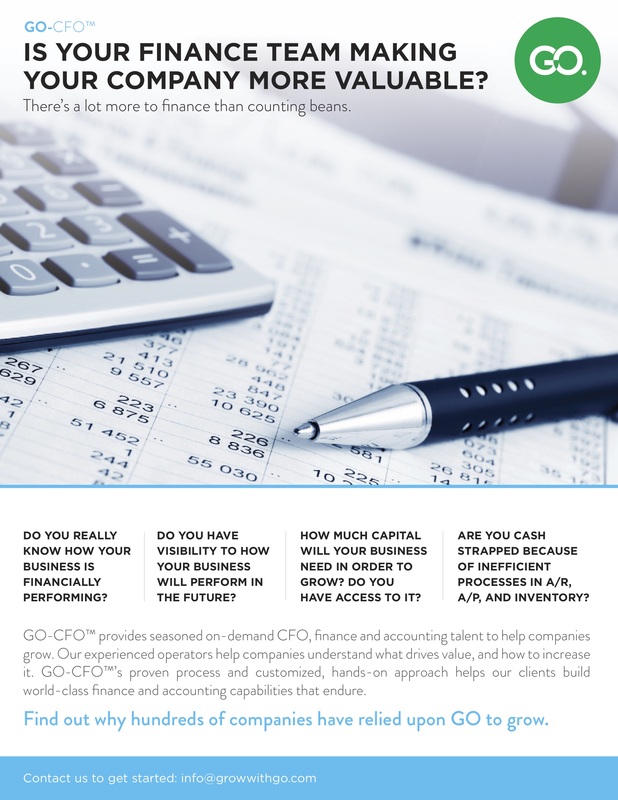 GO-CFO™’s proven process and customized, hands-on approach helps our clients build world-class finance and accounting capabilities that endure.